Built from the inside out using a custom 3D foot last shaped to the individual skater's foot, eliminating loss of energy and producing unrivalled power, comfort, and control. Whether you play NARCh, IIHF Championships, or just perfecting your skills for the ice, find everything an Inline Hockey player will need. 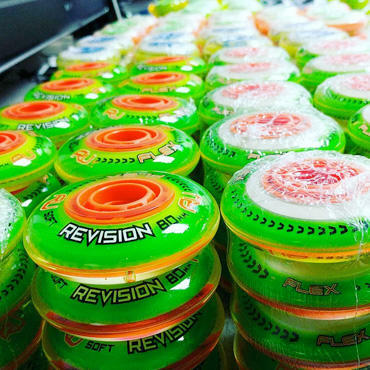 From wheels and bearings, to pants and girdles we have all you'll need to get you rolling. Why choose Puck Stop for your inline hockey kit? Top-quality brands at very competitive prices. Puck Stop is your number one stop for wheels. Whether you play inside or outside, our collection is ideal for all budgets and performance levels. We offer products from the best brands our industry has to offer. With kit available from Bauer, Mission, Warrior, CCM and more, you can choose the gear that best fits your game and budget requirements. Equipment to satisfy all levels and ages. We’ve got skates for kids, providing comfort and stability. Plus, senior inline skates delivering maximum power to your strides and fast acceleration - helping you to give a top-end performance. 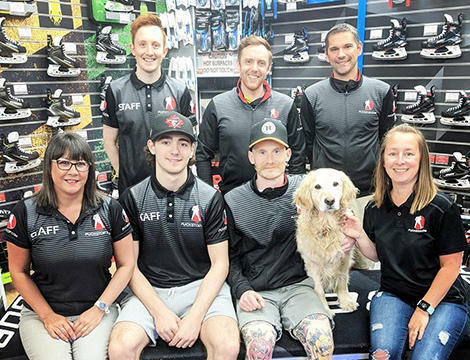 Along with our high-performance skates, you’ll find inline hockey sticks, training aids, and a wide range of accessories & inline protective gear such as, gloves, helmets, shin and mouth guards. For competitive inline hockey players, our online hockey shop has everything you need to dominate at the rink. Or if you’re just starting out, our range of inline hockey equipment will get you rolling in no time. We are committed to providing insights into our products, so customers make informed decisions - whether that’s with online reviews or from in-store chats. 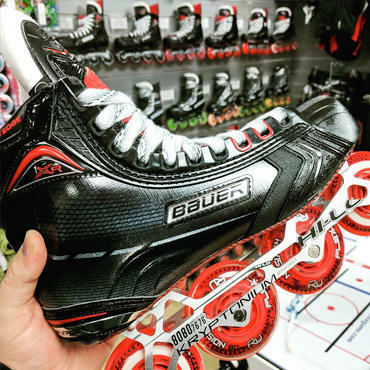 Some of our best-selling inline roller hockey products are the durable Bauer Vapor XR400 Junior Inline Hockey Skates and the Bauer Vapor XR400 Senior Inline Hockey Skates. Both heat mouldable, they guarantee a customised fit at an affordable price. Light and agile, you’ll be faster than fast!